An evening celebrating Edward Kennedy “Duke” Ellington’s 120th birthday! 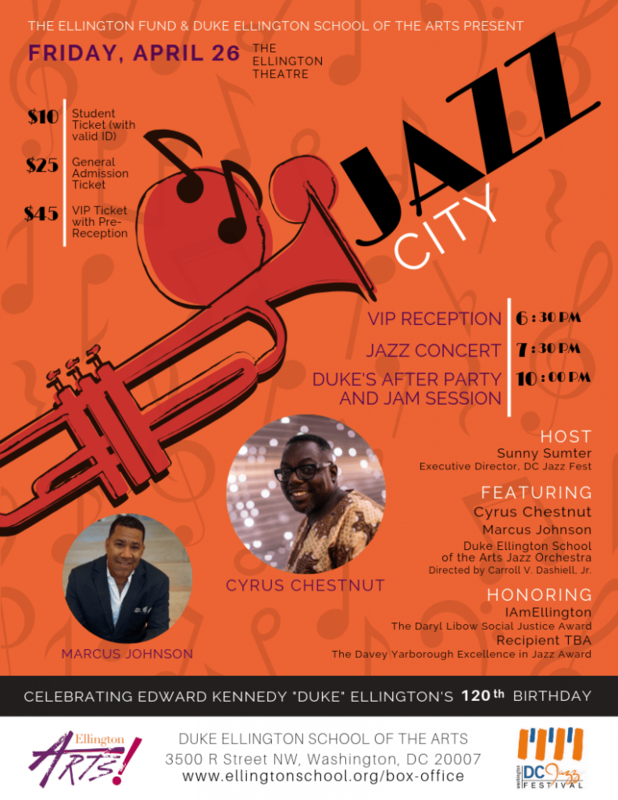 Live performances by Cyrus Chestnut, Marcus Johnson, and the Duke Ellington School of the Arts Jazz Orchestra, and presentations of the 2019 Daryl Libow Social Justice and Davey Yarborough Excellence in Jazz Awards. Duke’s After Party and Jam Session included with each ticket purchase.